Tata Aria was first unveiled in January 2010 at the Auto Expo in New Delhi and was later launched to customers in the month of October the same year. Being the first crossover of the country, Tata was hoping it to come as a successful car, but unfortunately the Aria turned out to be an unconvincing vehicle to the masses. The two main reasons that worked against the Aria were the quality issues and its high pricing. Over the past two years, Tata did rework upon the Aria and even introduced a cost-cut version of the same but it still did not pick good sales. 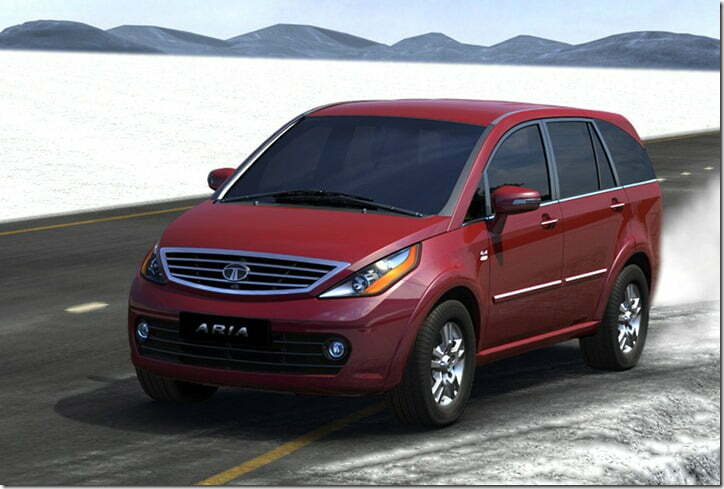 Now the latest news coming from Tata’s stable is that they are planning a re-launch of 2013 Tata Aria. The company is seriously considering the issues this time and is in the process of making some changes to the vehicle. In all probability the company will address the quality issues and could also revise the pricing of the Aria variants. “Aria is misunderstood. It’s a great idea, a car that offers space as well as comfort. Like it happens to other manufacturers, some products are a bit ahead of time and therefore misunderstood,” said Karl-Heinz Servos, project director, joint projects, Engineering Research Centre at Tata Motors. “It’s a solid car. First it needs a few image corrections. We will do something quick which will change the perception. We need to relaunch the car. If it continues the way it is currently, then it is not good for the company,” said Servos. The demand for SUVs has grown drastically over these years but in spite of that Aria failed to attract much buyers. Another reason for the failure is the Toyota Innova, which is a benchmark in the utility vehicle space and Aria has been compared with the former over and over again. Compared to the Innova, the Aria comes with a heftier price tag but the point is this Tata product is a premium product and does not fall in the segment of Innova. Tata once used to be a strong player in the SUV space but in the recent times the company’s share has shown a significant drop. Now the company is working on a new range of MPVs and SUVs which expectedly will bring back the brand to life.